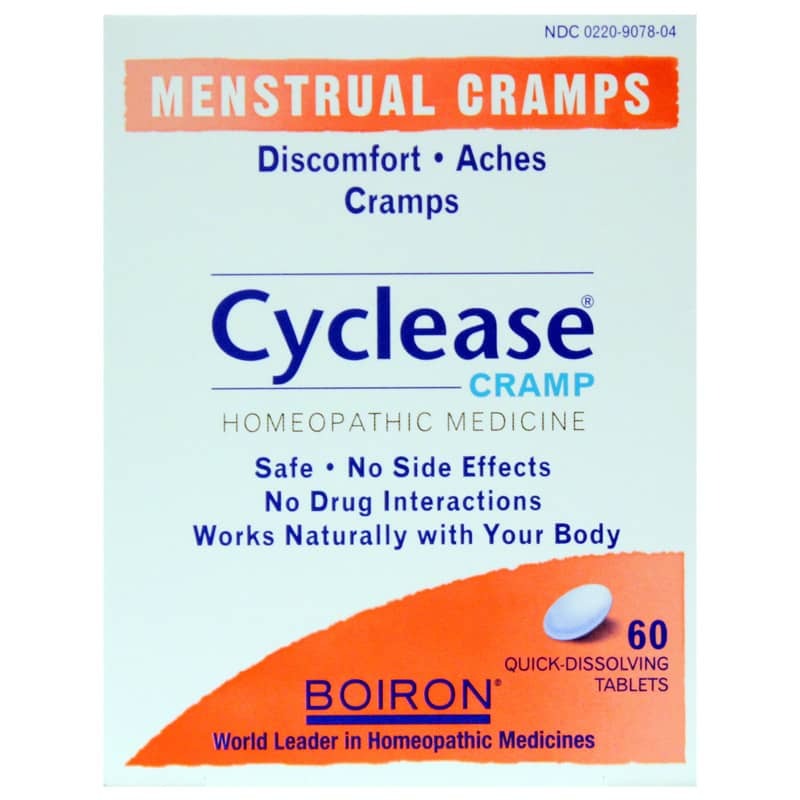 Cyclease Cramp from Boiron is a unique homeopathic medicine for the supporting the temporary relief of minor aches, discomfort, cramping and pains associated with menstrual cramps*. 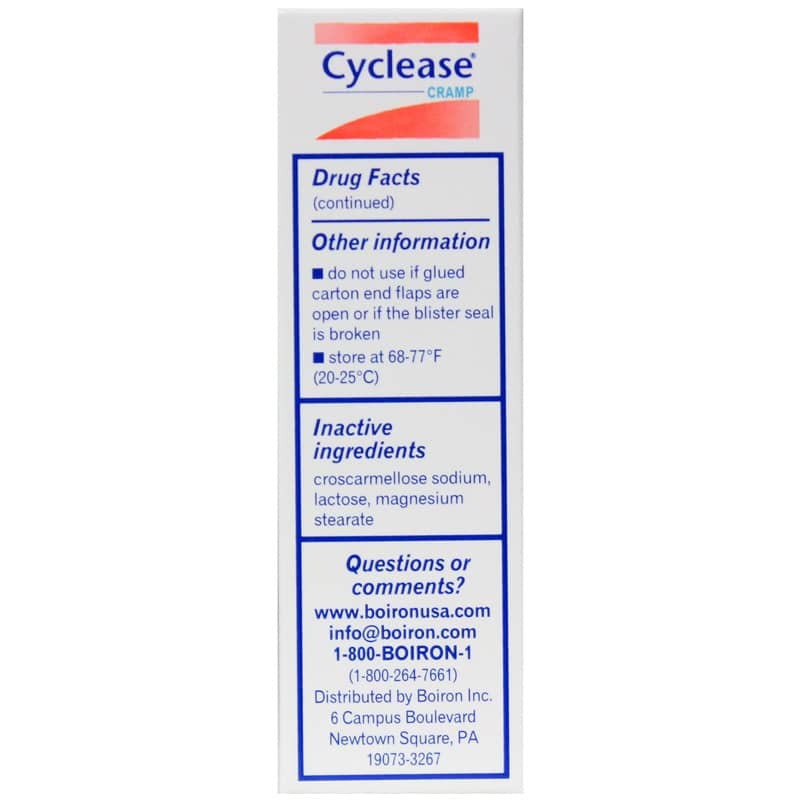 Adults and Children 12 years and older: Dissolve 2 tablets in the mouth every 15 minutes for 3 doses. Repeat as needed. Children under 12 years: Not recommended. 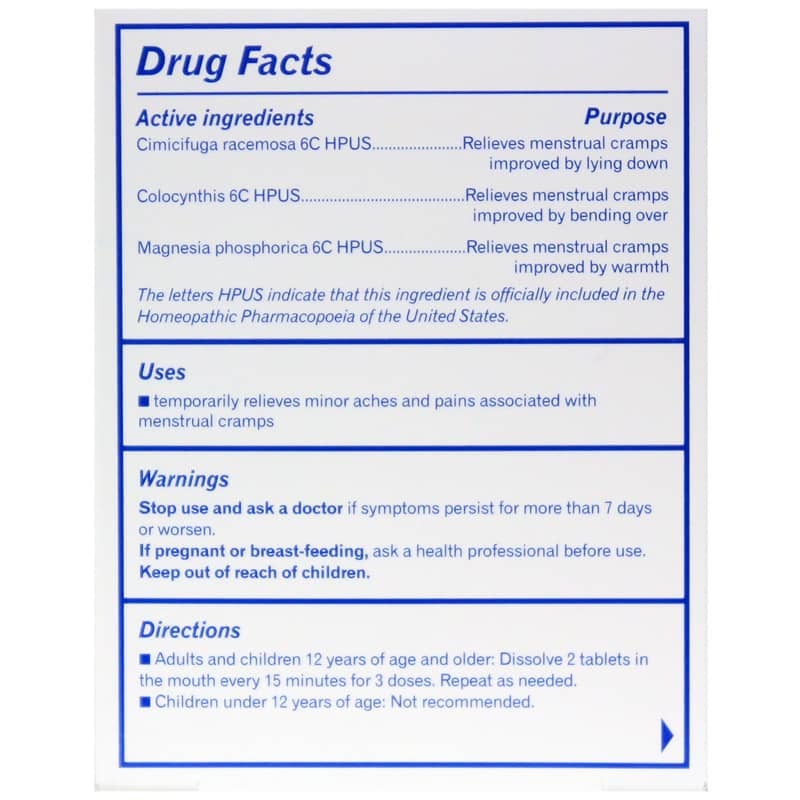 **The letters HPUS indicate that these ingredients are officially included in the Homeopathic Pharmacopoeia of the United States.